Sono cominciate le registrazioni del nuovo disco del Maestro Fabrizio Meloni. Il Maestro è accompagnato dal Maestro Takahiro Yoshikawa al pianoforte. Questa mattina il M° Carlo Boccadoro è arrivato in studio per assistere alle registrazioni. Dice d’aver composto due brani, contenuti nel nuovo cd/dvd del M° Fabrizio Meloni, quando era a New York nel 1995. Riascoltandoli è quasi stupito dal virtuosismo estremo dei brani in questione, ma non è per nulla stupido della perfezione con cui oggi vengono eseguiti. The vision and listening centrality – assigned ad personam, or rather, to the unique person who the composer must be addressed, the ideal spectator, that is the absolute sovereign – is a characteristic of operatic theatre from his birth in the XVII Century. This centrality represents a challenge in the Nineteenth Century, a provocation of the opera’s composers following a new historical age, in order to debate the space-acoustical relations between stage and audience. The meaning of “perspective” points to the construction on a bi-dimensional surface of one, or more images, differently oriented and placed at different distances, corresponding to their direct vision, thanks to geometrical techniques. The perspective intuition is possible when the picture becomes a “window” through which we think to look at the space constructed with a perceptible immediate impression, with the help of a geometrical construction. The perspective with a central focus is based on a fundamental hypothesis: a view with a still, fixed eye. But, if the illusory idea of an exact perspective construction is abstracted from the structure of psycho-physiological space, is clear that the perspective picture offered to spectators of an operatic theatre contradicts these characteristics. First of all because the object observed is three-dimensional. The depth, the length and the highness of the stage substitutes the bi-dimensional surface of the painted canvas. In second instance, because the unique, ideal point of view, peculiar of the observer of a painting, becomes an exclusive use, in the praxis of operatic theatre, assured only to the spectators sitting in the Royal tribune, as an extension of their divine-rights benefits. The theatrical and operatic performance in the court society is an earthly ritual where the spectators see them one another, the sovereign and the characters on the stage. They discover the mechanisms of the show, and in the same time they are aware of the play. The sovereign, from his side, sees and listens from the best place, which allows him the complete identification in the hero, either gods or ancient kings. So, the sovereign is the unique to see and listen, and perceives the fictive world of operatic action “as” a real one. 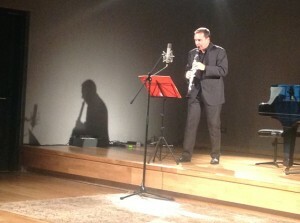 si terrà la Serata conclusiva della 1° Masterclass di clarinetto tenuta dal Maestro Fabrizio Meloni. Si esibiranno i Maestri: Mattia Aceto, Annalisa Meloni, Simone Nicoletta. Alle ore 15.00 inizieranno le registrazioni dei video di presentazione dei 7 musicisti che prenderanno parte alla Masterclass di clarinetto tenuta dal Maestro Fabrizio Meloni. Dal 20 al 22 settembre presso gli studi di Limen Music si terrà la Masterclass di clarinetto del Maestro Fabrizio Meloni. 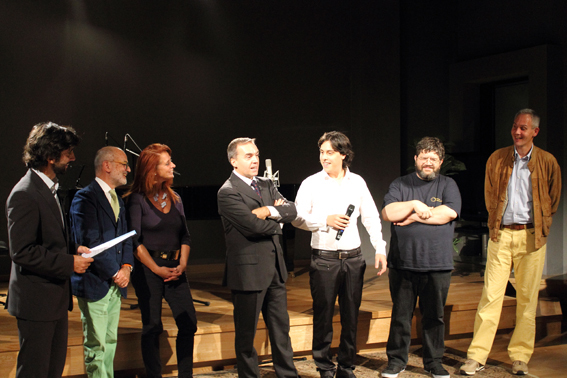 Mattia Aceto, Fabrizio Alessandrini, Alessandro Falco, Annalisa Meloni, Sara Mescia, Simone Nicoletta, Luca Sartori. 15 settembre Sala Puccini del Conservatorio di Milano.